Free shipping to United States for orders $80.00 and over. The origin of science, embodied in a unique cool-toned eyeshadow collection. Contains: Arsenic, Calcination, Spirit, Unity, Aether, Transmutation. This product is available for pre-order. Please note that your order will ship in approx. 1-2 weeks. Our MAGNETIC™ pressed eyeshadows burst with intensity and style for looks as magnetic as the tins they come in. 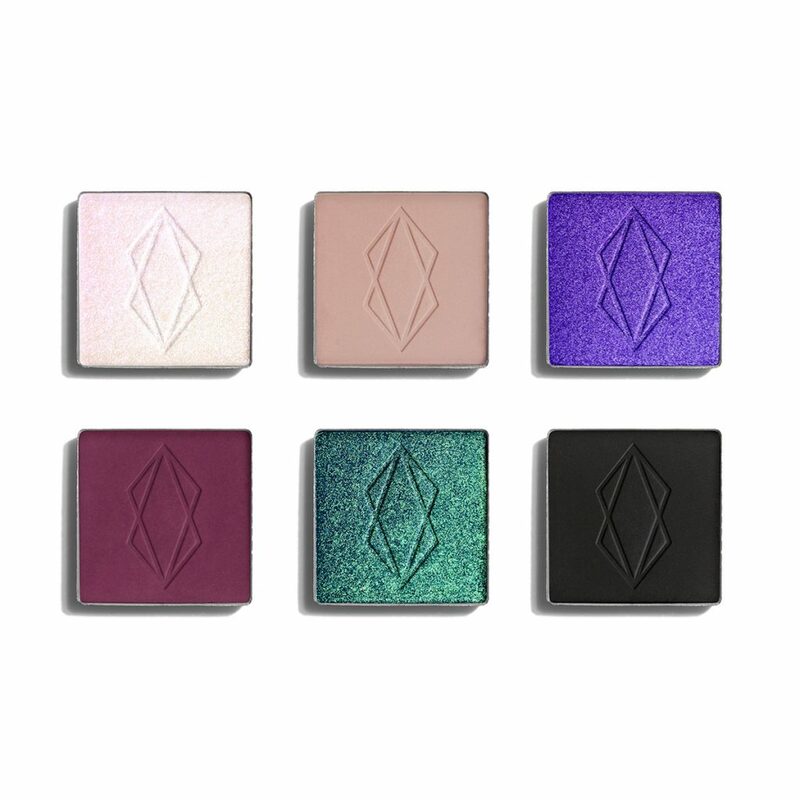 Laden with pigments and carefully formulated for smooth application, these eyeshadows blend like a dream, never fade or crease and are bound to amaze wherever you go. Each eyeshadow comes in a unique tuck-top box and will also fit in our MAGNETIC™ customizable palettes. Matte eyeshadows: Slightly tap the eyeshadow with your brush and apply as desired. A little goes a long way! Metallic eyeshadows: No matter if applied with the finger, a dry or damp brush, our metallic eyeshadows always provide excellent color payoff! 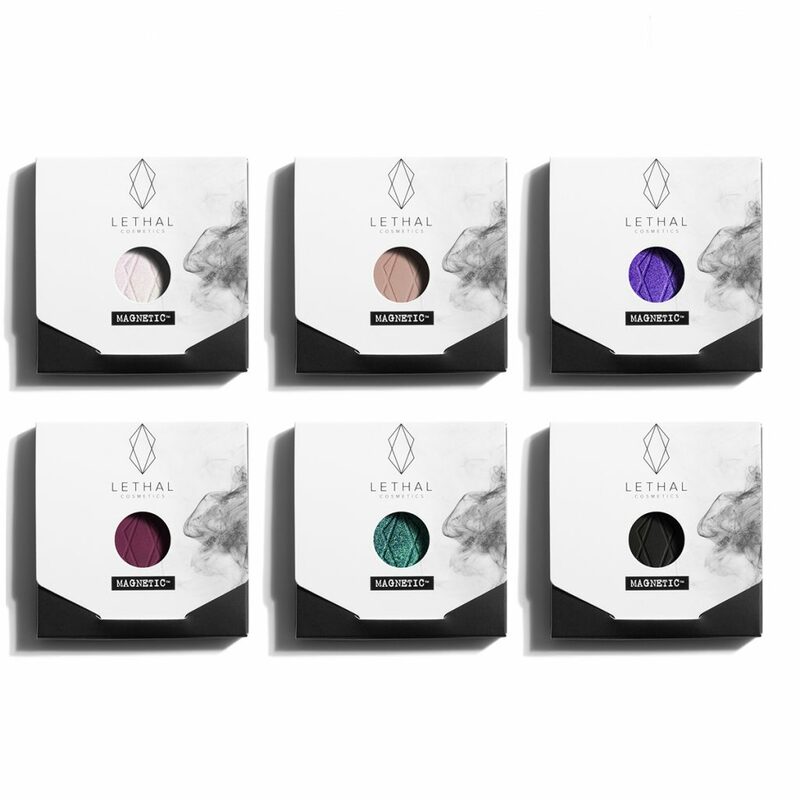 Lethal Cosmetics is an independent, PETA-certified vegan and cruelty-free makeup brand from Berlin, Germany. We produce professional-quality color cosmetics for an alternative audience of ethical makeup-addicts. Copyright ©2019 Lethal Cosmetics GmbH & Co. KG. All rights reserved.